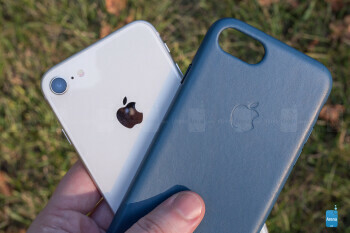 For a good number of smartphone users, cases are a fact of life. Sure, we might prefer it if our phones themselves were resilient enough to withstand the rigors of daily use (and abuse) on their own, but with all the forces out there that seem to be conspiring to destroy them, a good case can be an absolute life-saver. Of course “good” is the operative word there, and there's a world of difference between a bulky, ugly case of questionable quality and a really well-executed one that effortlessly blends effective protection and aesthetic charm. Right now, the hottest new phones around are Apple's iPhone 8 models, and while the company's sticking with the same basic design it used last year for the iPhone 7, these 2017 editions swap out the old durable metal unibody construction for a new glass-backed look. Glass may feel nice, and empower the new iPhones to finally support wireless charging, but we don't have to tell you how eminently damage-prone it can be, picking up scratches or worse: cracks. 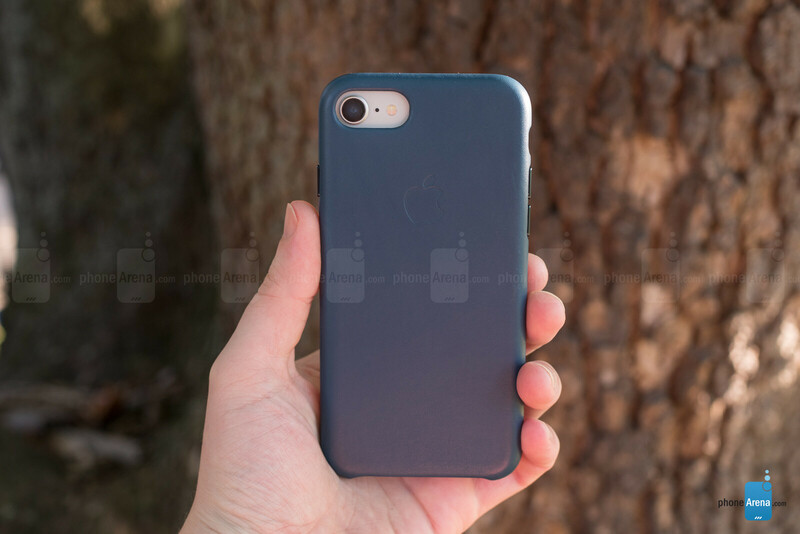 Well, there's utterly no shortage of companies eager to sell accessories to the iPhone-buying hordes, but if you want a case that's going to fit like a glove, why not go right to the source, and check out Apple's lineup of official iPhone 8 case options? That's just what we've been up to, and for the past few days we've been pairing the new iPhone 8 with Apple's own leather case. Unlike the iPhone 8 itself, which this year finds itself constrained to just three color options, there's absolutely no shortage of selection available with Apple's leather case for the phone, which is available now in your choice of nine shades. Since we picked up a silver iPhone 8, and there's no matching silver leather case, we instead went with a bolder color to contrast, choosing the cosmos blue case. Unlike the grayer “midnight” blue, this option is a mix of blue and green, and really looks handsome on the lighter phone. 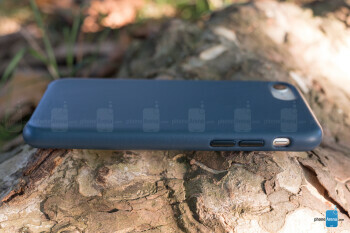 The case covers the sides and back of your handset, while leaving the bottom edge expose to let the speaker function and allow access to the Lightning port. There's the expected cutouts on the back and side for the camera and ring/silent switch, as well as hard protrusions for actuating the volume and power buttons. Those are topped with anodized aluminum, colored to perfectly match the leather itself. 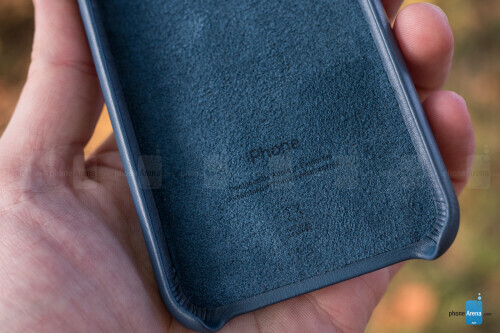 Inside the case, the leather extends over the sides again, but the back is covered by a microfiber lining, helping to protect the glass surface of the iPhone 8. 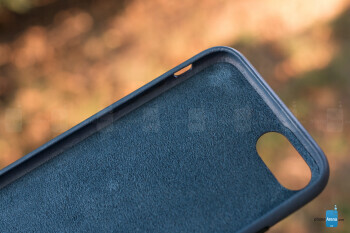 As for the front glass, the lip of the case doesn't extend too, too far above the smartphone's face, but it is just enough to offer a smidge of clearance and keep the screen elevated when placing the _phone_ face-down. One side effect of the design is that while this case may be targeted towards new iPhone 8 owners, it also fits the iPhone 7. As you may recall from our review, while the iPhone 8 is slightly larger than the 7, the difference is on the sub-millimeter range, and so this case can easily be used with last year's phone. 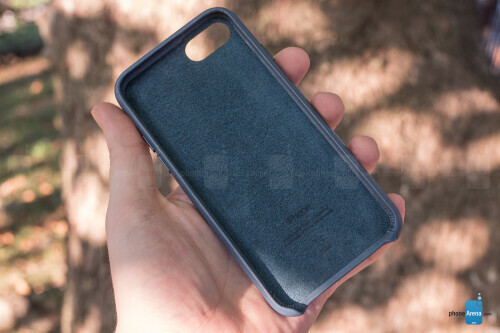 Understandably, for a product made from natural materials, every leather case is going to look a little different, both as it arrives from Apple, and as the case wears, picking up a patina as it does so. As a result, if you're really hung up on consistency when it comes to appearances, the iPhone 8 leather case may not be a great fit for you. While the color of the unit we picked up is quite consistent, differences in the leather texture across the case's surface resulted in a series of diagonal stripes that appear lighter or darker under the proper illumination. That's really a minor issue, and like we said, the appearance of this case is inevitably going evolve as it's used. But do be aware that little inconsistencies like this may pop up between individual units. 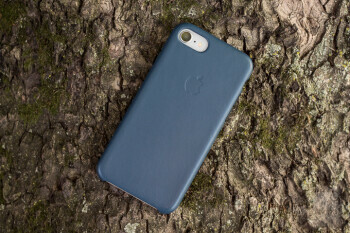 The case looks nice, and more importantly, feels really good – it's expensive, sure, but when we're handling something as often throughout the day as we do a _phone_ case, sometimes it's smart to err on the side of premium materials. 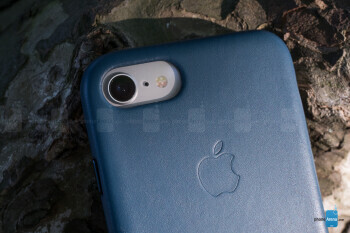 We haven't subjected Apple's leather iPhone 8 case to any torture test, and the long-term forecast for its ability to hold up to minor day-to-day abuse remains to be seen, but we can't deny that we feel a whole lot more confident having this case in place. This year's iPhone finally supports wireless charging, and thankfully the case doesn't impact that one bit. Both wireless chargers we tested worked straight through the leather case without any apparent impact on charging. Of the two official Apple iPhone 8 cases we've tried, both this leather one and the silicone case, the leather model is our easy favorite. 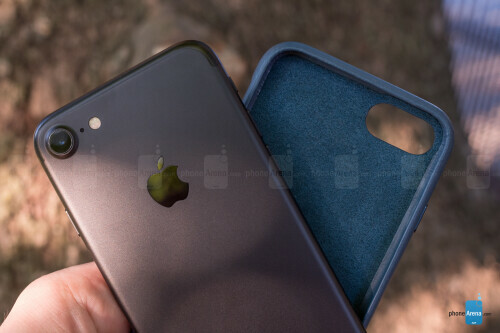 It looks better, it feels better, and while the silicone case may prove to be more durable in the long run, we still feel plenty secure with the leather case protecting our iPhone. Apple's color assortment is decent, and while you won't find any bright, eye-catching shades here, the available options all feel very appropriate for a leather product. Our biggest issue with the leather case is pricing, and at $45 it feels like it's on the more expensive end of the case product range. But like we mentioned, it does feel incredibly well-made and premium, and while we're always going to have a little bit of sticker shock when we're spending this much on a case, we're also not suggesting that this doesn't represent a fair value for the money. 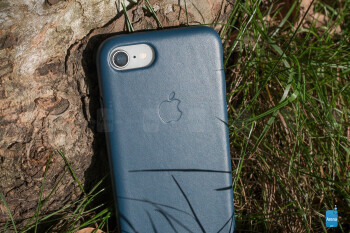 If you want a well-made, stylish case and don't mind paying for quality, Apple's leather iPhone 8 case is a sound investment.